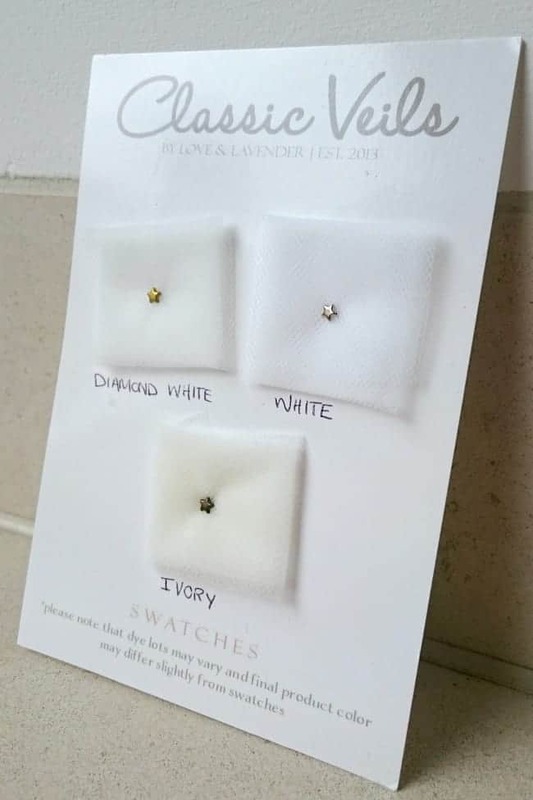 Every bridal dress designer has a different interpretation of what “White” and “Ivory” looks like, making it a challenge to know what color veil to order. 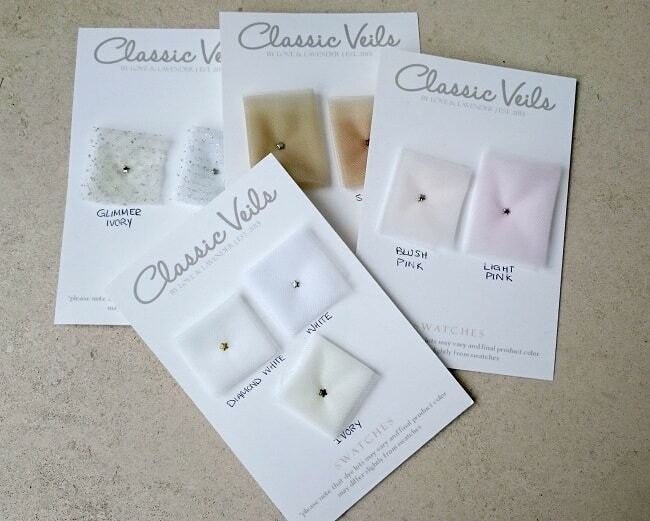 Take the guessing out of the equation and order your own bridal veil tulle swatch samples TODAY! 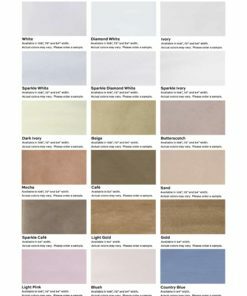 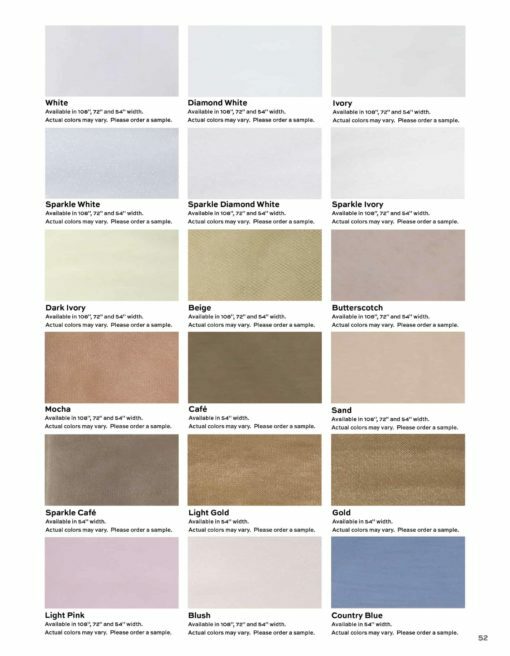 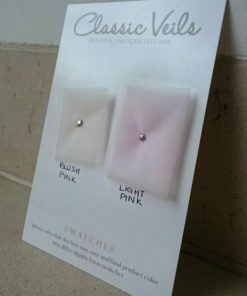 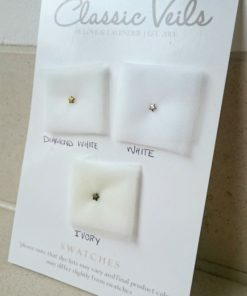 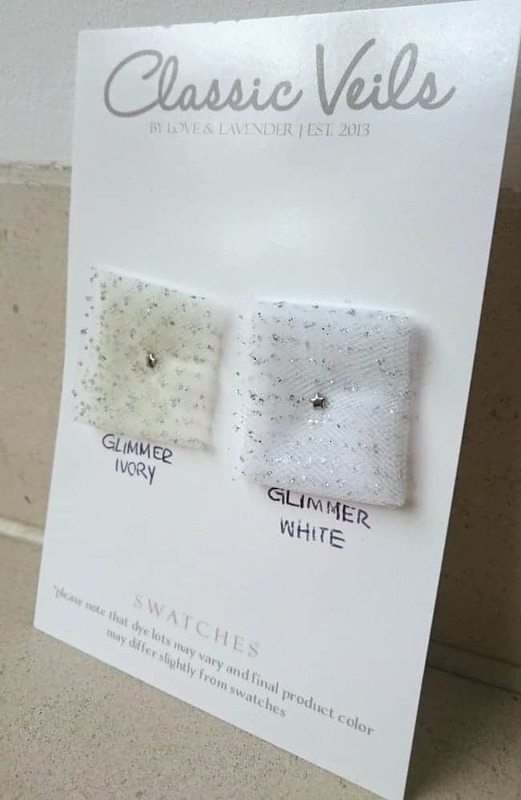 Take advantage of these swatches to be sure your veil will match your wedding gown and feel Classic Veils’s quality in person. 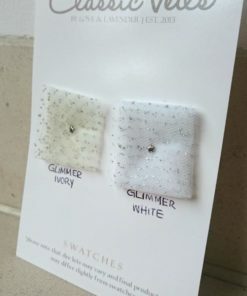 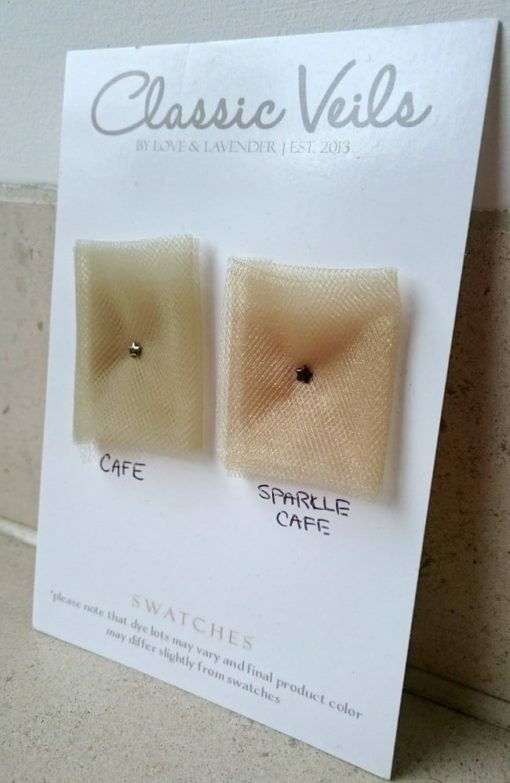 Please be aware that the tulle swatches are folded over to make perfect little square samples and they will appear more saturated than if it were just a single or double layer of tulle. 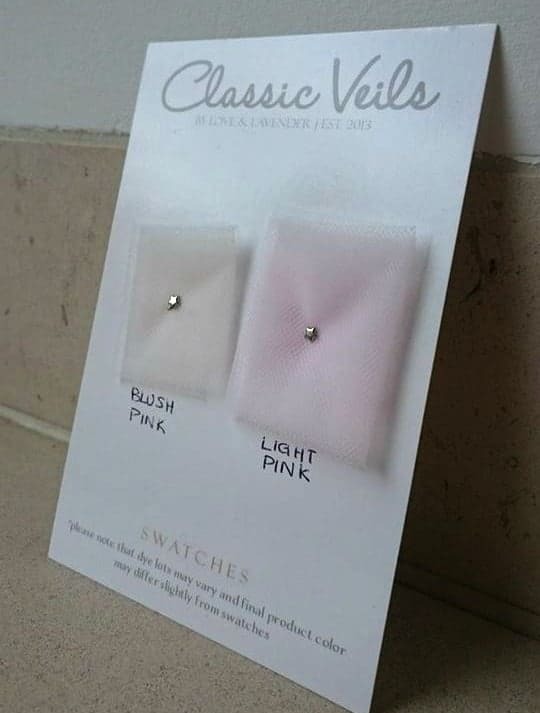 The actual veil will be lighter in color. 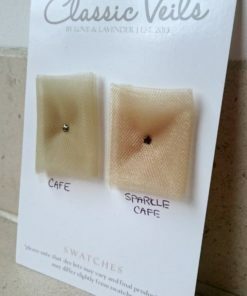 Also, please note that certain tulle is only available in certain widths. 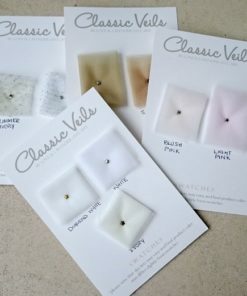 Once you have ordered and found the perfect swatch, check out all our beautiful veils or create your very own custom veil with your chosen veil color.